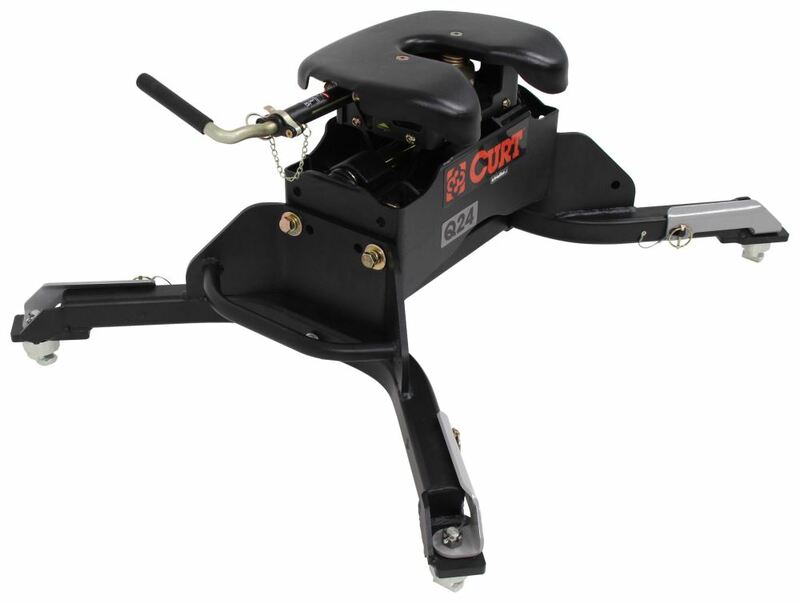 Heavy-duty fifth-wheel trailer hitch has a dual jaw and color-coded lock indicator for superb safety and security. 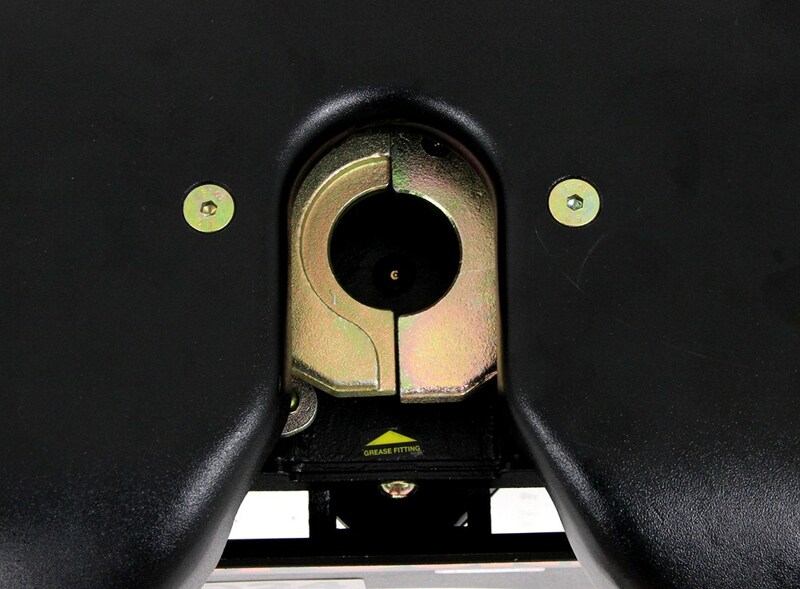 Self-aligning, pivoting head and included lube plate make hookup a snap. 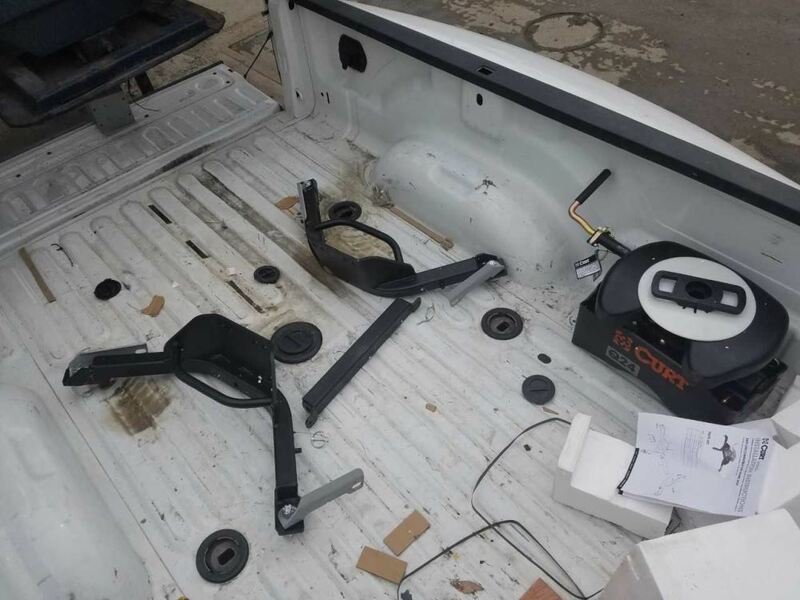 Legs mount to Ram OEM underbed platform. 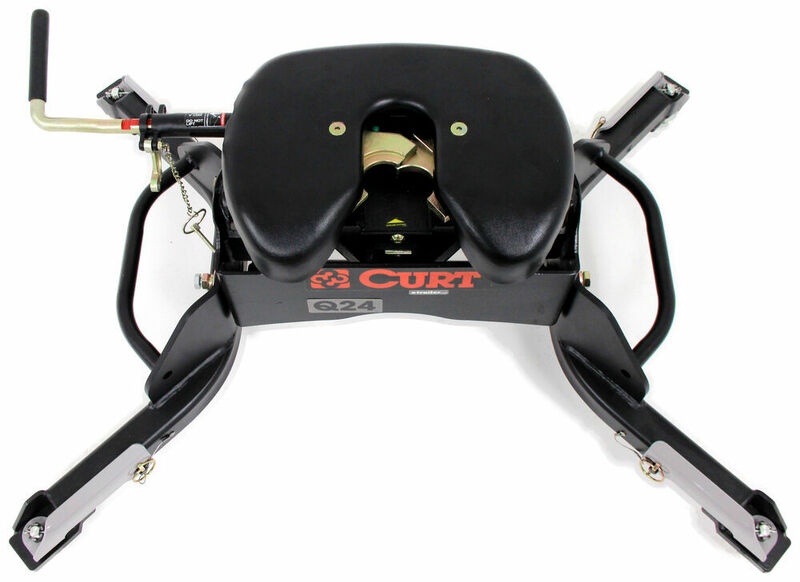 Call 800-298-8924 to order Curt fifth wheel part number C16545-16021 or order online at etrailer.com. Free expert support on all Curt products. 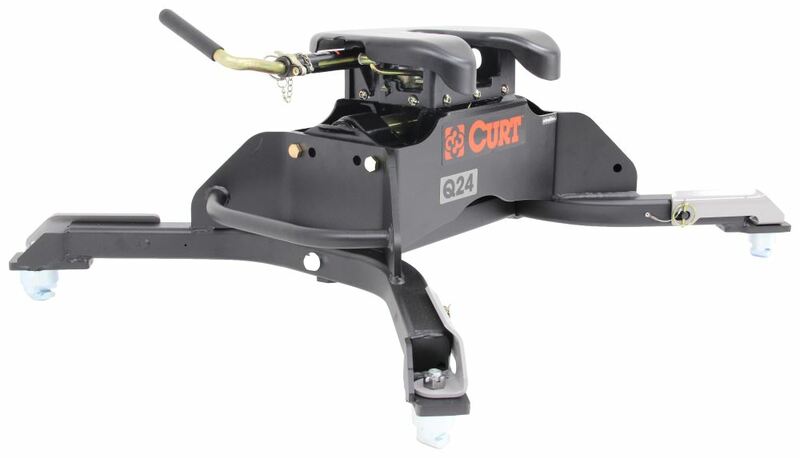 Guaranteed Lowest Price and Fastest Shipping for Curt Q24 5th Wheel Trailer Hitch for Ram Towing Prep Package - Dual Jaw - 24,000 lbs. Fifth Wheel reviews from real customers. 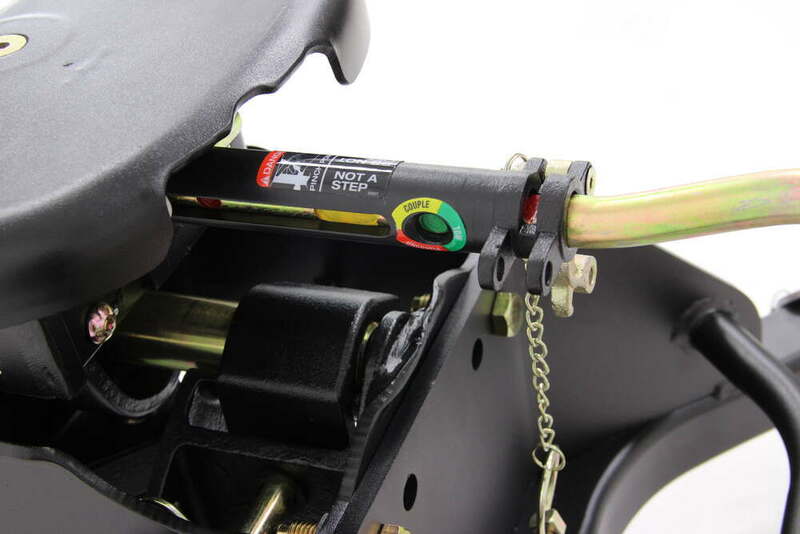 Heavy-duty fifth-wheel trailer hitch has a dual jaw and color-coded lock indicator for superb safety and security. Self-aligning, pivoting head and included lube plate make hookup a snap. 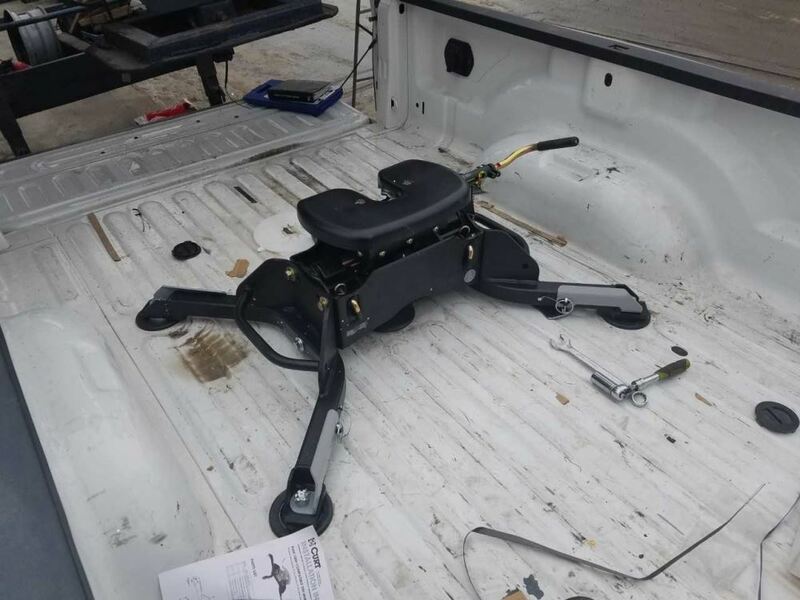 Legs mount to Ram OEM underbed platform. 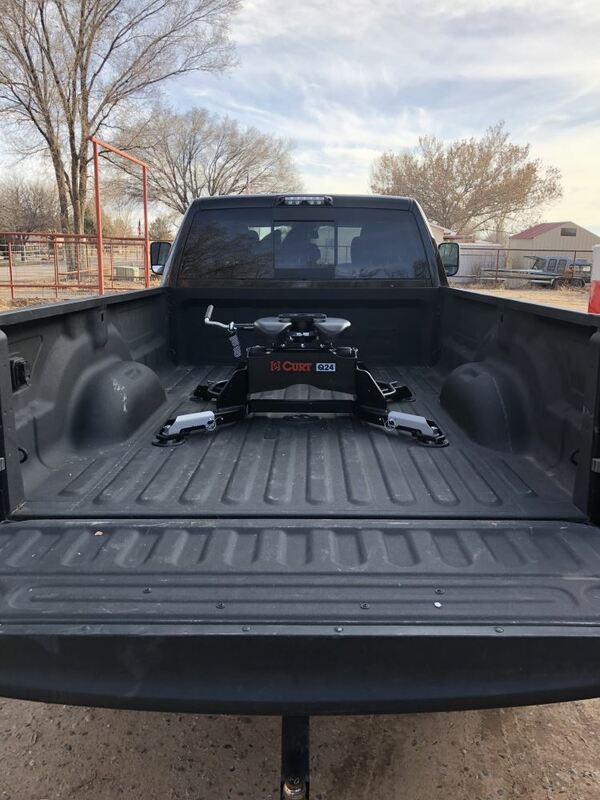 Hitch height: 14" - 18"
Note: This fifth-wheel trailer hitch is not compatible with rotating pin boxes, such as the Reese Sidewinder, Reese Revolution, and 5th Airborne Sidewinder. 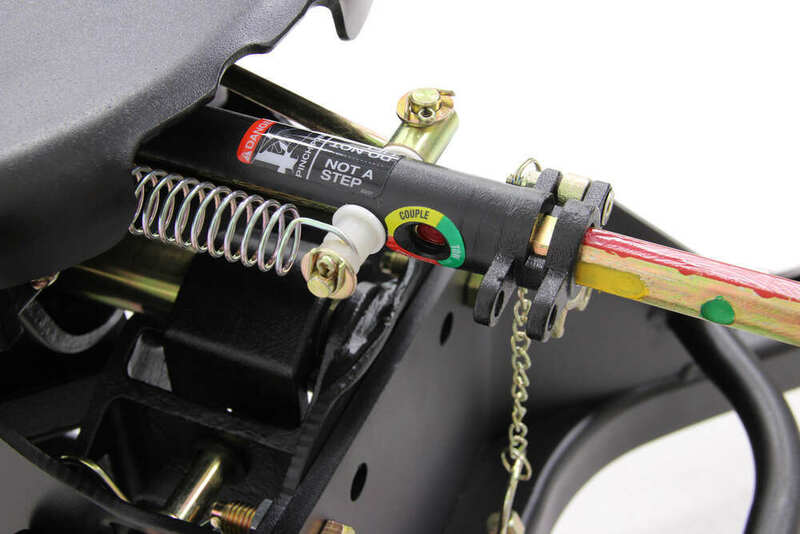 Unlike slide-bar models, the rounded, two-piece jaw on this fifth-wheel trailer hitch inhibits rattle and movement by securely wrapping around your trailer's king pin, resulting in easier hookup and a safer, quieter ride. Get peace of mind with Curt's color-coded lock indicator. Just look at the indicator - either the one on the handle or the one on the hitch itself - to determine whether the jaw is in the correct position to uncouple (red), couple (yellow) or tow (green). 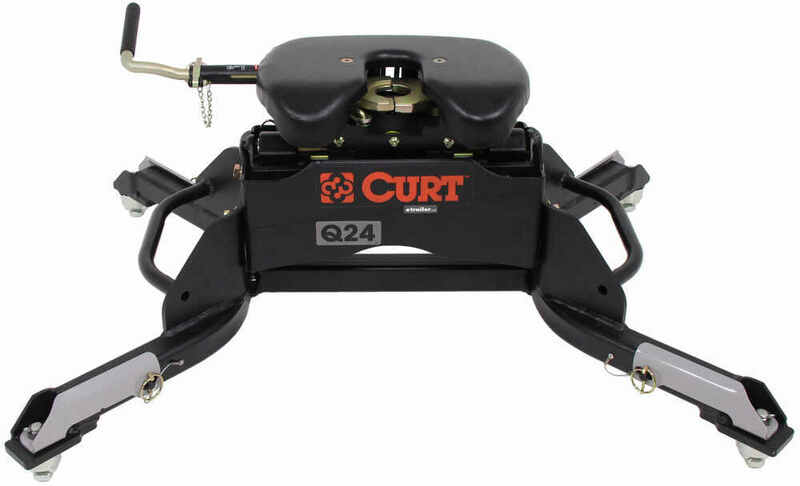 Curt's unique spherical axial bearing provides a durable pivot point that allows easy, 360-degree movement of the hitch head. This ball joint is designed for smooth, quiet operation with less clunking and chucking. 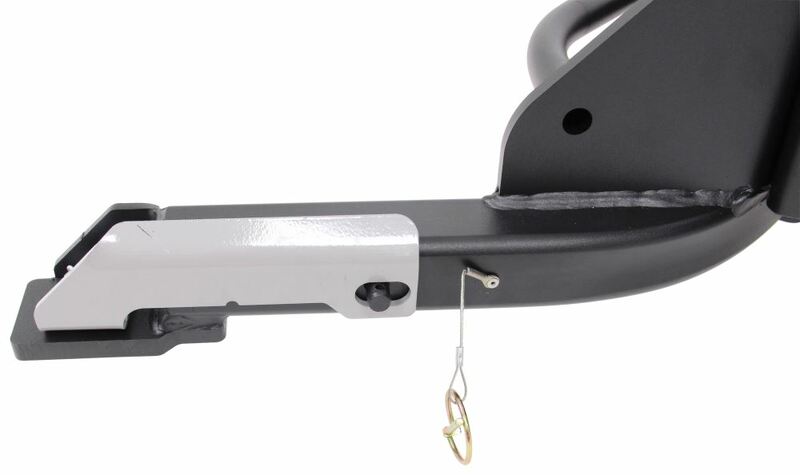 Order: RelevanceNewestRating - High to LowRating - Low to High Heavy-duty fifth-wheel trailer hitch has a dual jaw and color-coded lock indicator for superb safety and security. 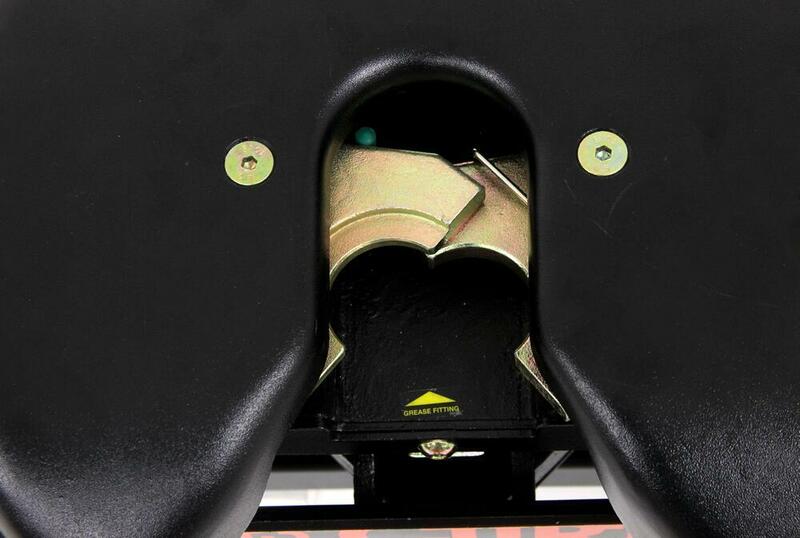 Self-aligning, pivoting head and included lube plate make hookup a snap. 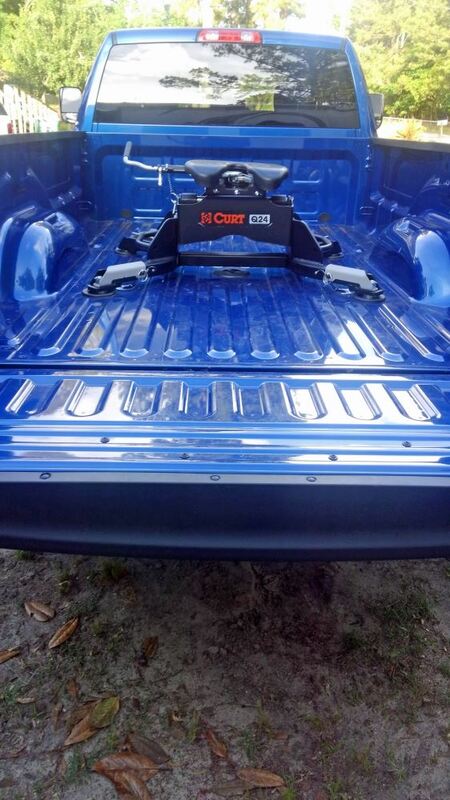 Legs mount to Ram OEM underbed platform. 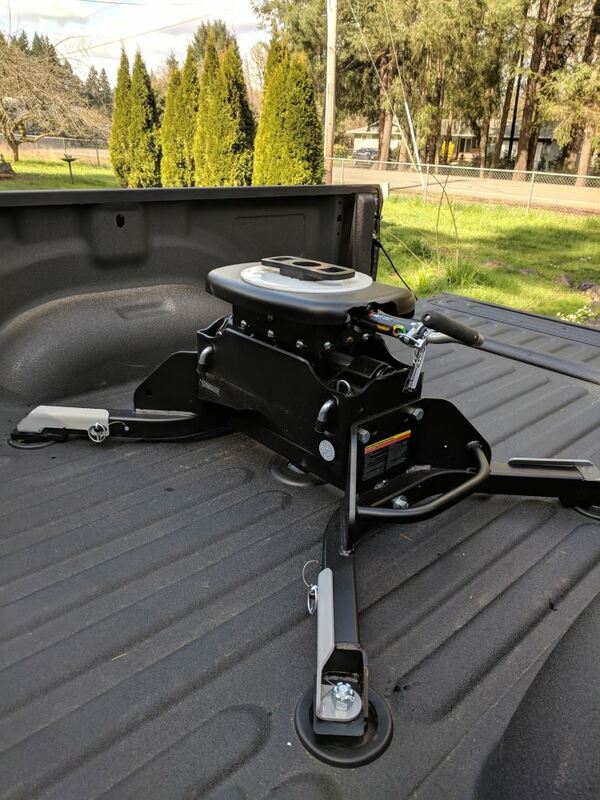 After a year of using the fifth wheel hitch Ive had no problems or issues. Still very satisfied. Have made several long trips and several shorter trips and couldnt happier with the hitch. Easy connect/disconnect and the double-jaw lock gives the assurance the trailer will arrive at the same time the truck does. 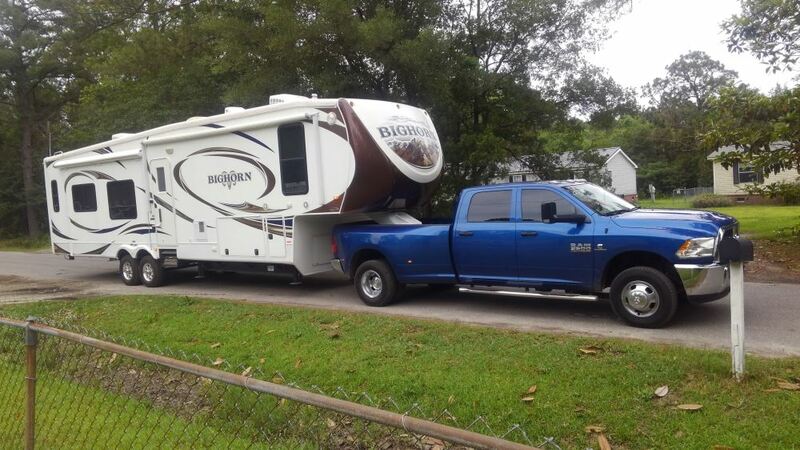 Have had several other 5th-wheel hitches but none came close to this product. One year any I love the hitch. 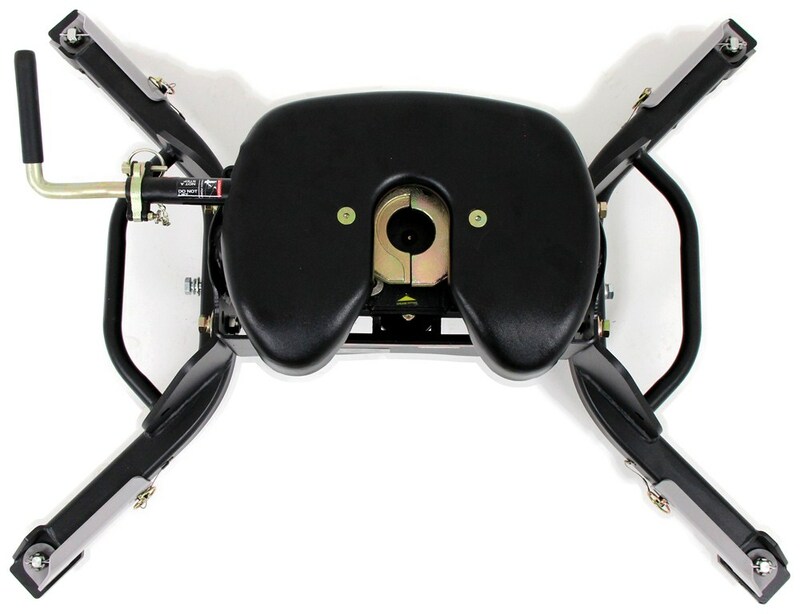 Do you have a question about this Fifth Wheel? For your 2018 Ram 2500 long bed with the factory 5th wheel puck system the B&W Companion # BWRVK3600 is a direct fit. 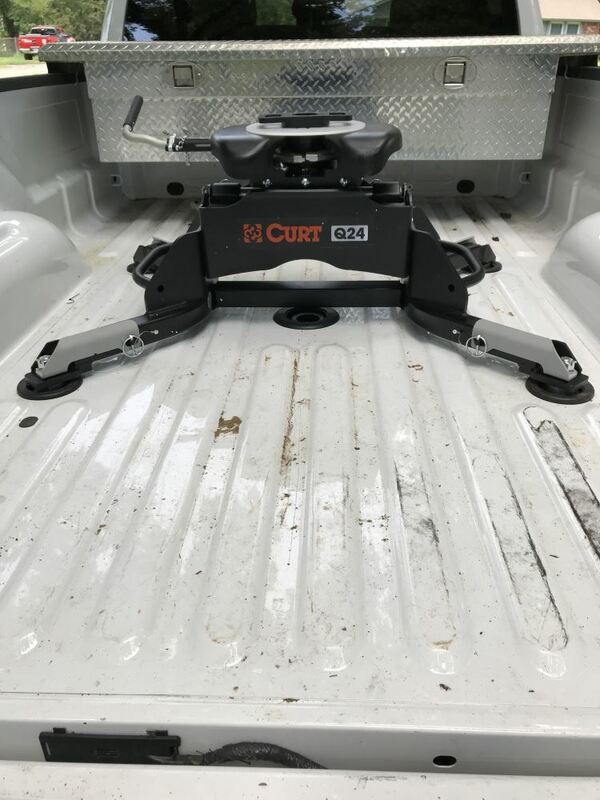 You could also use Curt hitch # C16049, # C16545-16021, or # C16046 rated for 24K, # C16044 or # C16530-16021 rated for 20K, or # C16520-16021 rated for 16K. 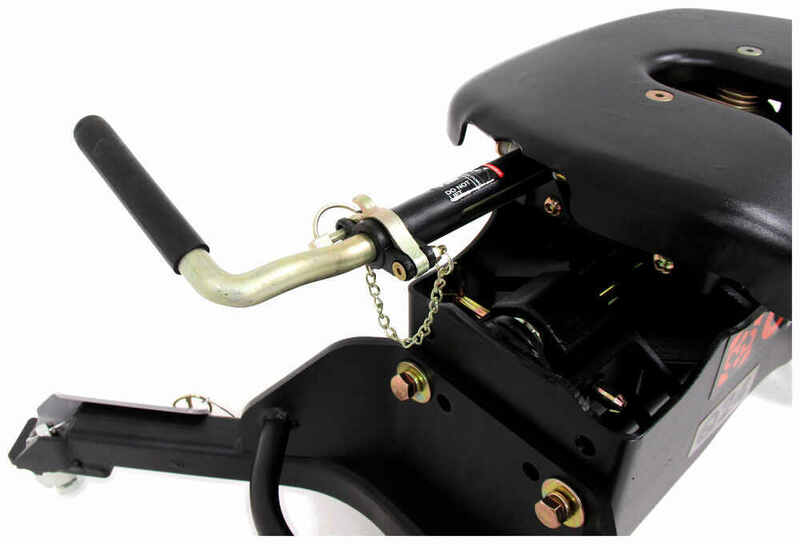 Reese has hitch # RP30160 rated for 20K. 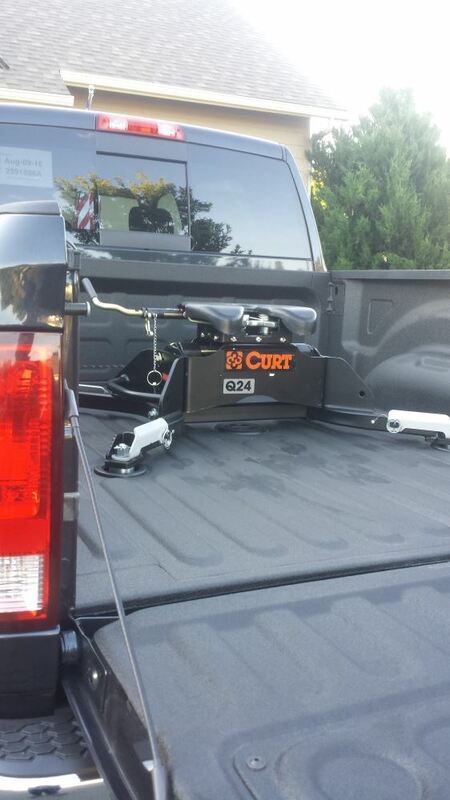 The B&W hitch is the most popular but the Curt hitches have cushioned heads for improved ride quality. I have linked some video reviews for you. 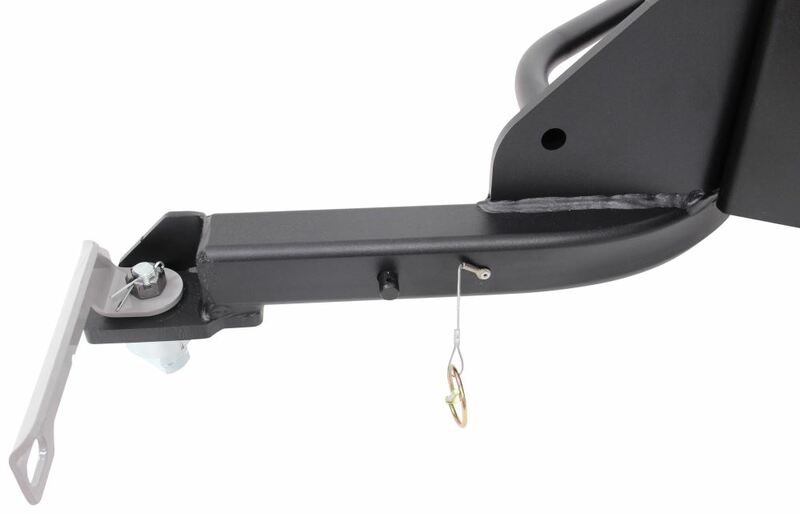 5th wheel hitches to fit your 2013 Dodge Ram 3500 8-Foot Bed with factory rail kit can be seen on the linked page. 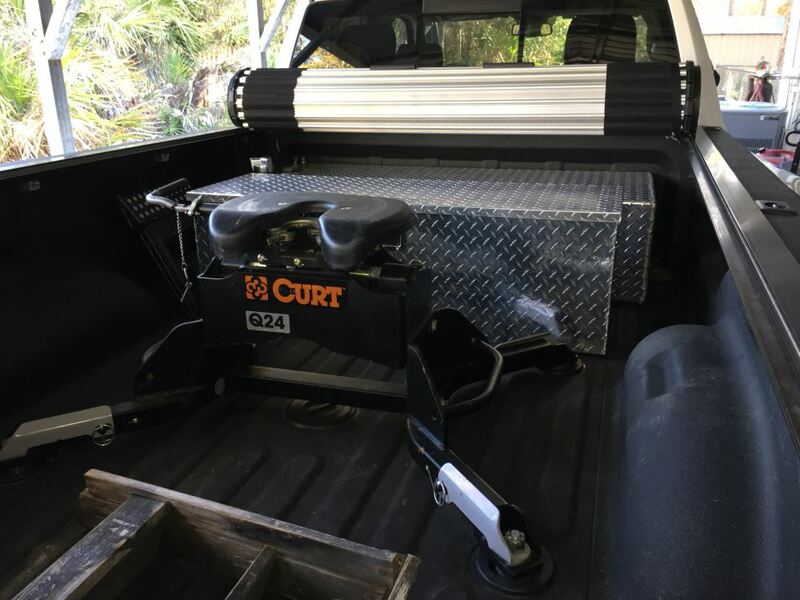 For a 24K-rated hitch you can indeed use Curt # C16545-16021 that you referenced. 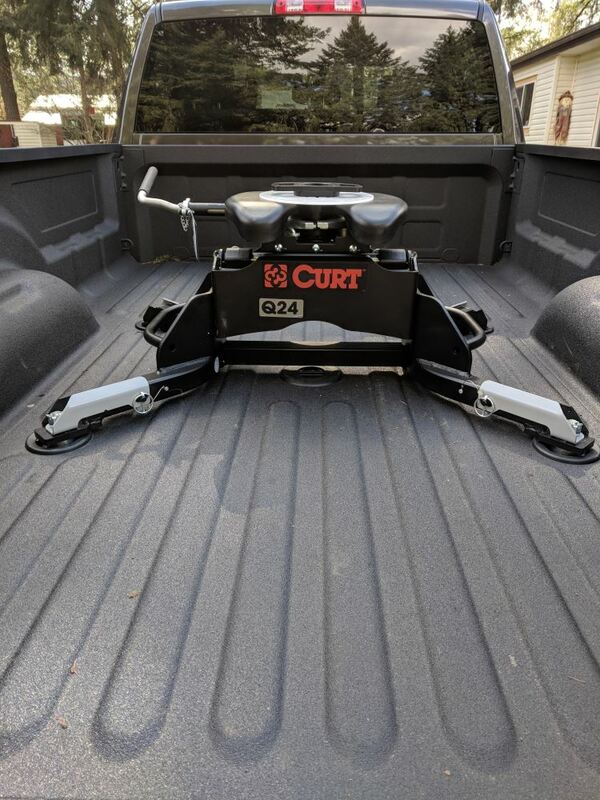 The linked video will give you additional information on this hitch, whose features include a 2-jaw system for better king pin contact, 360-degree head movement for easier hitching and 4-inches of height adjustment. 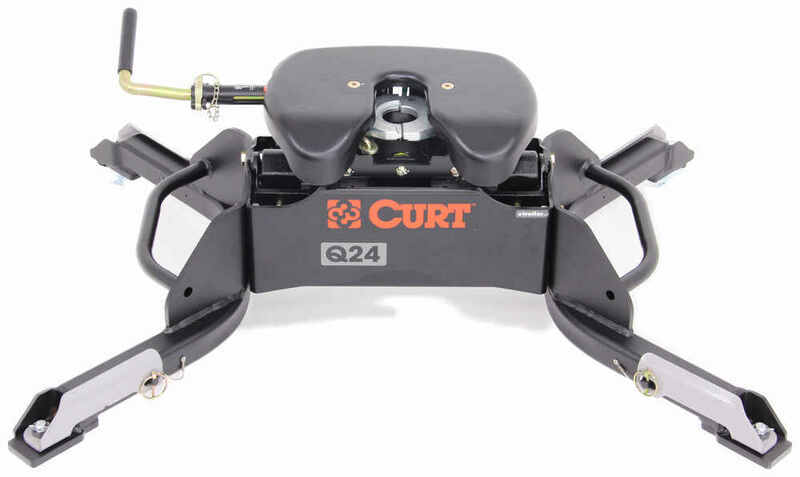 For a wiring harness you can use Curt # C56000. 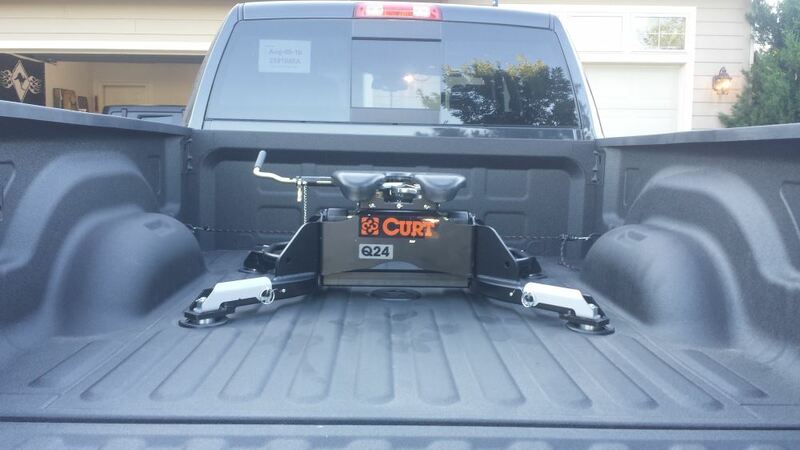 Yes, the Reese 5th wheel trailer hitch # RP30160 will fit the factory 5th wheel prep package in your 2016 Ram 3500. I have linked a video review of this hitch for you. 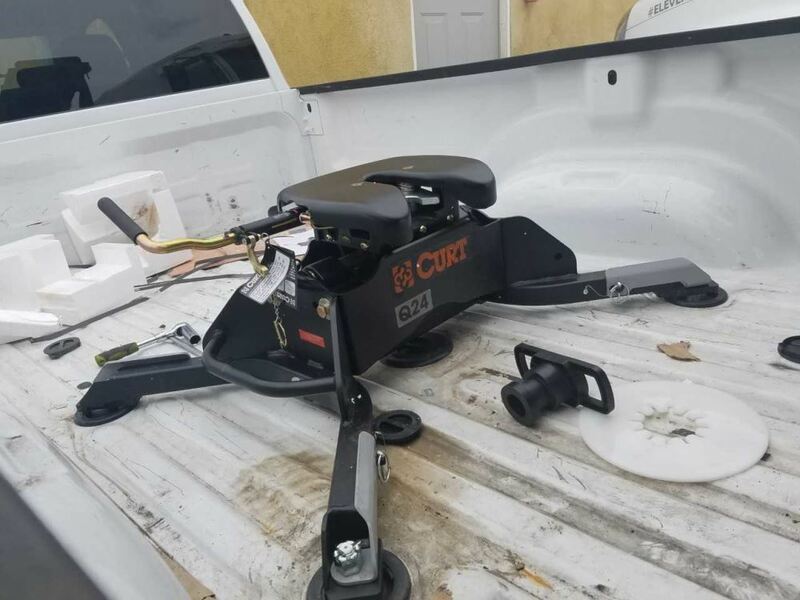 We have other hitches that will also fit directly into the factory prep package: B&W 25K # BWRVK3600 Curt 25K # C16049 Curt 24K # C16545-16021 Curt 20K # C16530-16021 Curt 16K # C16520-16021 I have linked videos on a couple of these hitches for you. Highest quality fifth wheel for the best price. 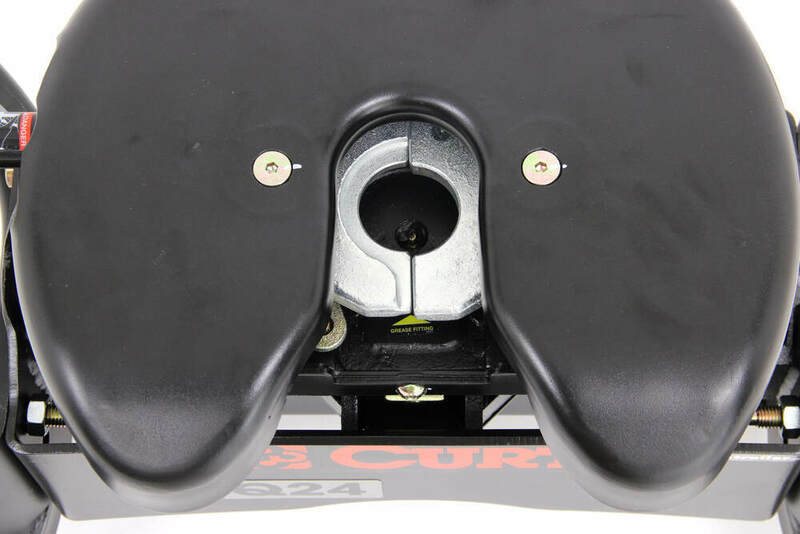 Most detailed, accurate fifth wheel information available.